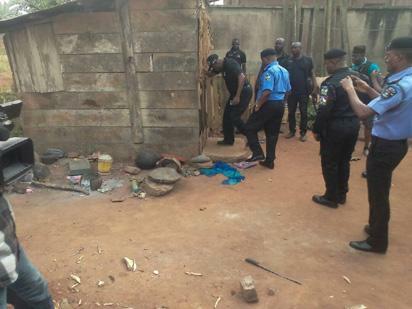 Lagos Police arrest Badoo Chief Herbalist, Fatai Adebayo alias Alese at his shrine in Imosan Village, Ijebu-Ode, Ogun State, on Tuesday, January 2, 2018. 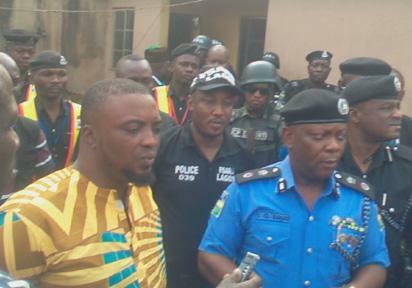 Suspected Arrested Badoo Chief Herbalist, Fatai Adebayo alias Alese (left); Commissioner of Police, Mr. Edgal Imohimi (middle); Commander, Rapid Response Squad (RRS), ACP Tunji Disu (right) during the arrest of the Baddo Chief Herbalist at his shrine in Imosan Village, Ijebu-Ode, Ogun State, on Tuesday, January 2, 2018. 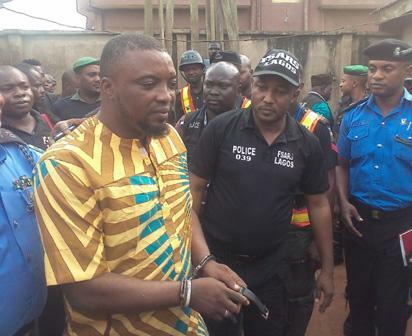 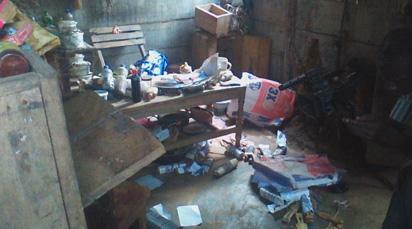 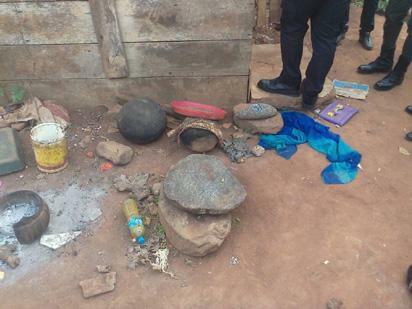 The post Photos of arrested suspected Badoo Chief Herbalist appeared first on Vanguard News.